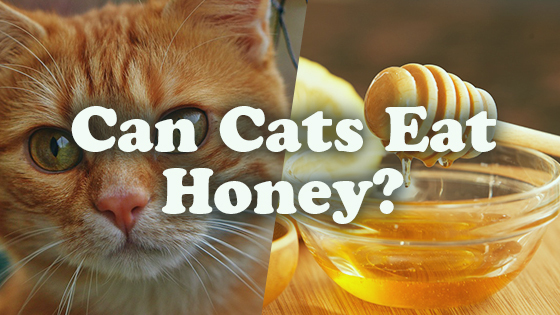 Yes, cats can eat honey, but in limited amounts, as it is not something that is a must in your feline’s meal since cat foods derived from meat and fish sources contain enough vitamins, proteins, and minerals that it needs to live a healthy life. Honey is one of the purest natural foods because of its anti-bacterial and antioxidant properties, as well as a host of minerals and vitamins like copper, zinc, potassium, iron, vitamin C, and some protein. However, you should keep in mind that, cats do not have the sweet taste in their tongue and feeding it honey for the mere taste would not be of much use. Some experts also believe that offering a small spoon of raw honey weekly may boost up its immunity level and help it with a sore throat, coughs, or inflammation/infection of the respiratory tract. It is safe to consult a veterinarian before using honey as a home remedy to relieve your kitty of common ailments. Eating it in increased amounts on a regular basis may affect your cat’s stomach since honey is difficult for them to digest. When you are offering it for the first time, let it give a lick or two from the spoon-tip, especially if your cat has allergy issues. If it shows any signs of it, contact the vet immediately. Each tablespoon of honey contains about 64 calories. So, you should also consult your veterinarian, if your cat has diabetes or obesity issues since the high sugar content will only tend to increase the insulin level in your pet. 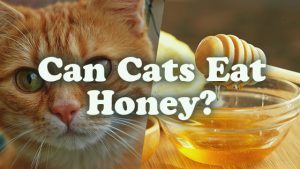 Though some experts recommend giving raw honey to cats for specific health conditions, consult a vet as raw foods may affect the cat’s health adversely. Published on December 29th 2017 by Shiloh Nevada under . Article was last reviewed on 29th December 2017.